Delaney Diplodocus is surprisingly soft, with yummy scruffly mottled fur! 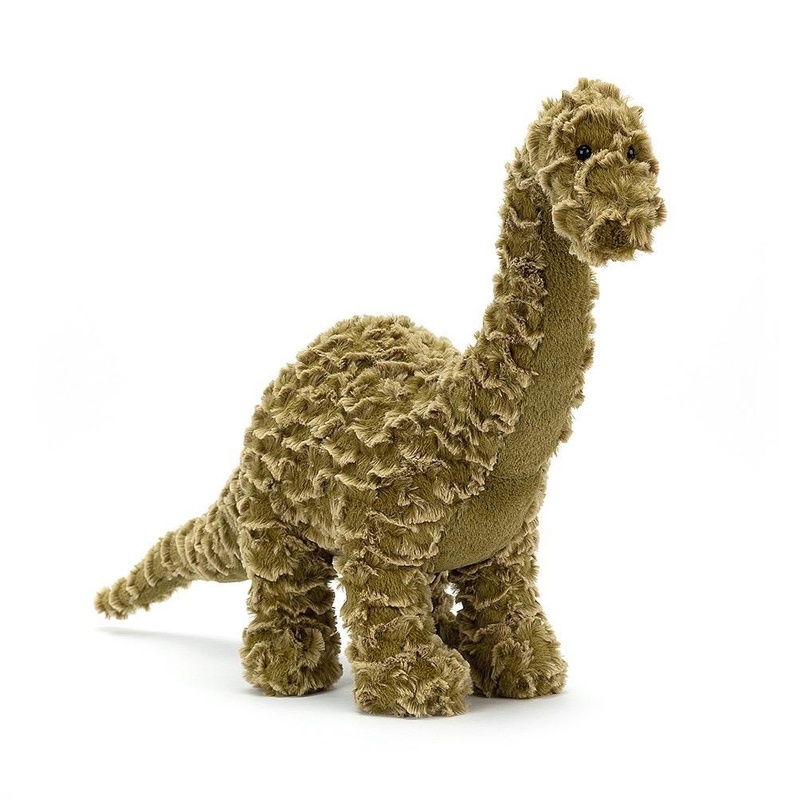 This long, loping chap stands up tall and proud, with a velvety belly and big stompy feet! Mossy and marvellous, this dizzy dino loves munching the tallest leaves in the trees! Safety & Care Tested against and passed ASTM requirements. Suitable from birth. Huge and Large sizes - please do not leave in a cot/ crib. Hand wash only; do not tumble dry, dry clean or iron. Not recommended to clean in a washing machine. Check all labels upon arrival of purchase.